June 4, 2013  Prosecutors asked for more time to prepare the case against the Olympic star, accused in the shooting death of his girlfriend. 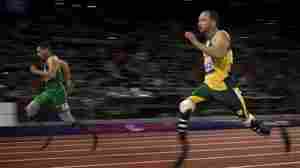 March 28, 2013  The Olympic and Paralympic sprinter has been accused of murdering his girlfriend. He says it was a tragic accident. He is now permitted to go to international competitions while awaiting trial. 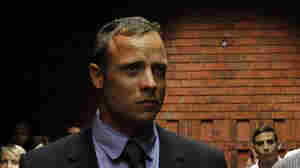 A judge also relaxed other restrictions placed on Pistorius when he was granted bail. February 22, 2013  The Olympic and Paralympic sprinter is accused of premeditated murder in the Feb. 14 shooting death of his girlfriend. He says it was a horrible accident. Prosecutors say he knew what he was doing. 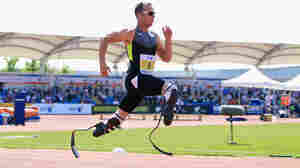 February 21, 2013  The Olympic and Paralympic sprinter is accused of murdering his girlfriend. In a court Thursday, it was revealed that the lead investigator himself had been accused of attempted murder in an unrelated case. That added to questions about the prosecution's case against Pistorius. 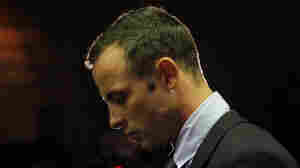 February 20, 2013  The Olympic and Paralympic sprinter is accused of murdering his girlfriend. He says it was a terrible mistake — that he thought there was an intruder in his home. At a bail hearing, the case is taking shape. 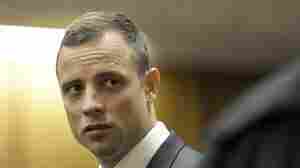 February 19, 2013  Olympic and Paralympic sprinter Oscar Pistorius has been charged with premeditated murder in the death of his girlfriend, Reeva Steenkamp. 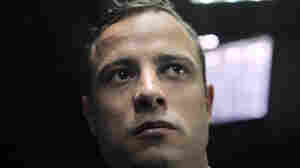 Pistorius says he "had no intention to kill my girlfriend." 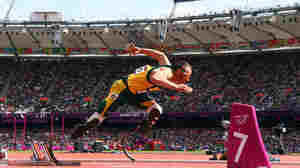 February 14, 2013  A woman was killed Thursday at the home of he South African Olympic and Paralympic athlete. 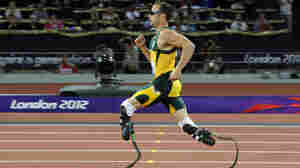 Police tell South African news outlets that Pistorius is the only suspect.